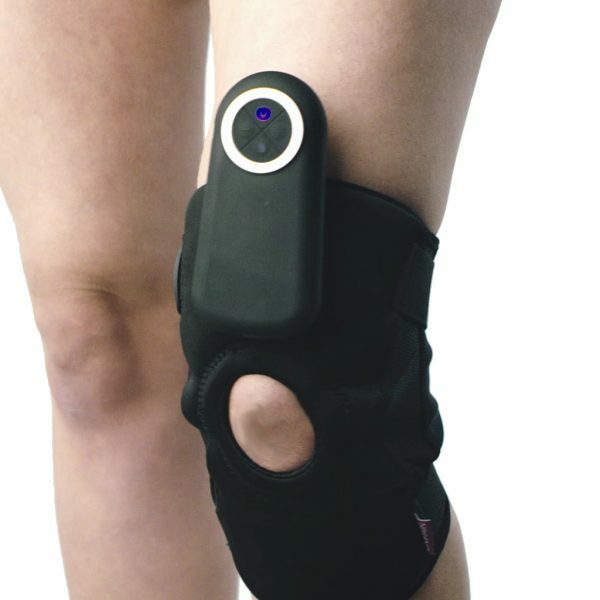 Knee pain have numerous causes, from overuse to sports-injury. 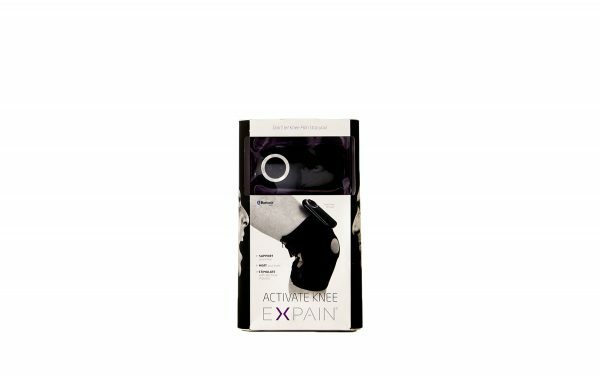 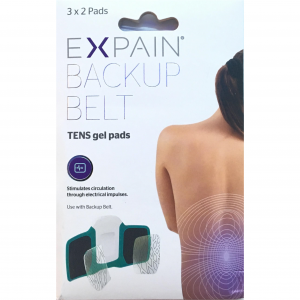 The EXPAIN Activate Knee offer support, passive and active heat and TENS to activate bad knee joints, whatever the cause. 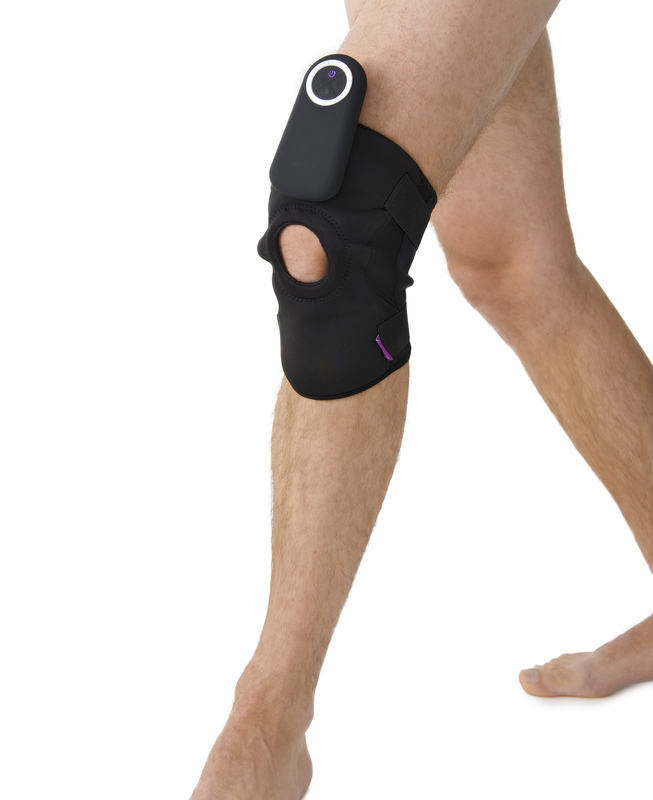 The fabric in the knee support is elastic and comes in a size medium, which means it fits most knees, but not to XXL. 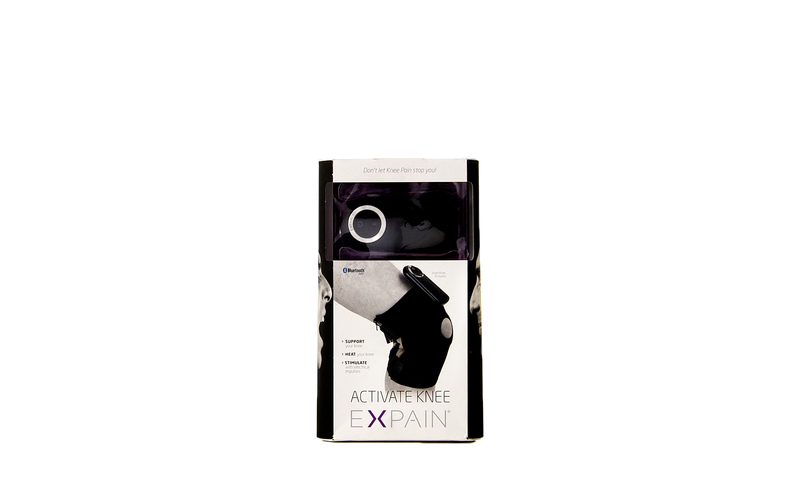 Recommended for people with knee artrosis or other knee pain that inhibits movement. 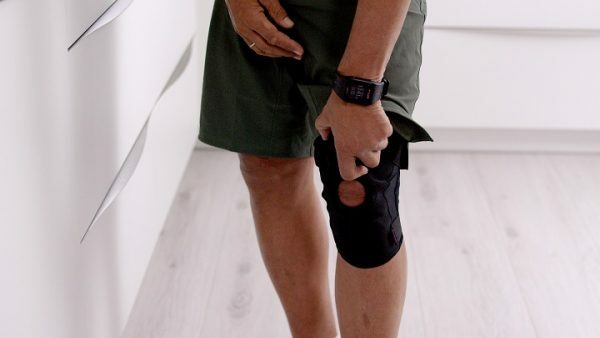 The fabric is elastic to fit most knees, and can be tightened further with the wide elastic bands. 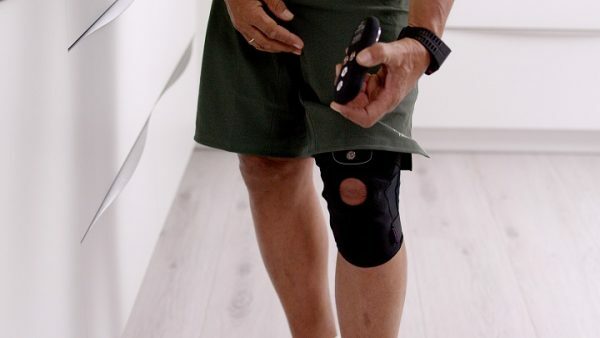 The zipper enable you to mount the knee support without remoing your shoes, and the zipper is choosen instead of velcro to avoid damaging clothes. 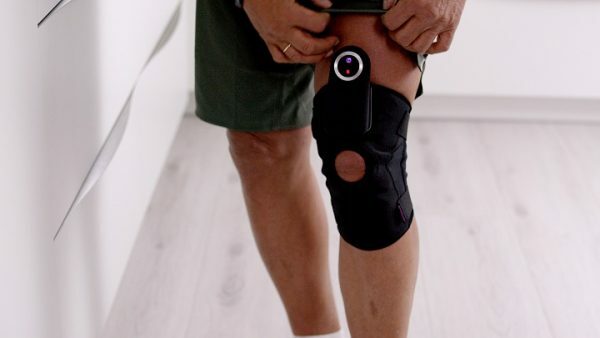 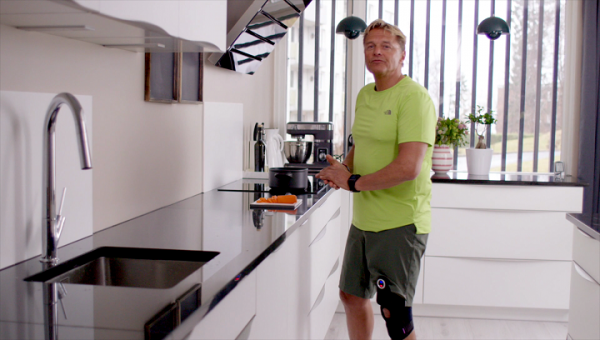 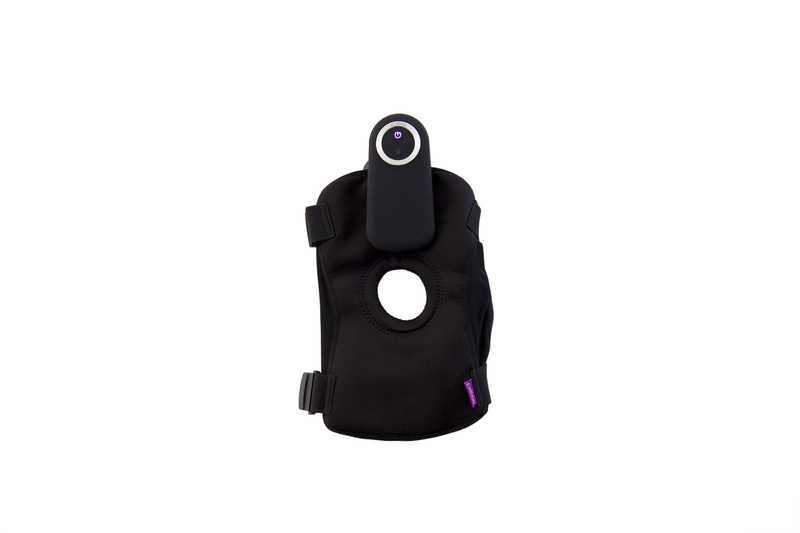 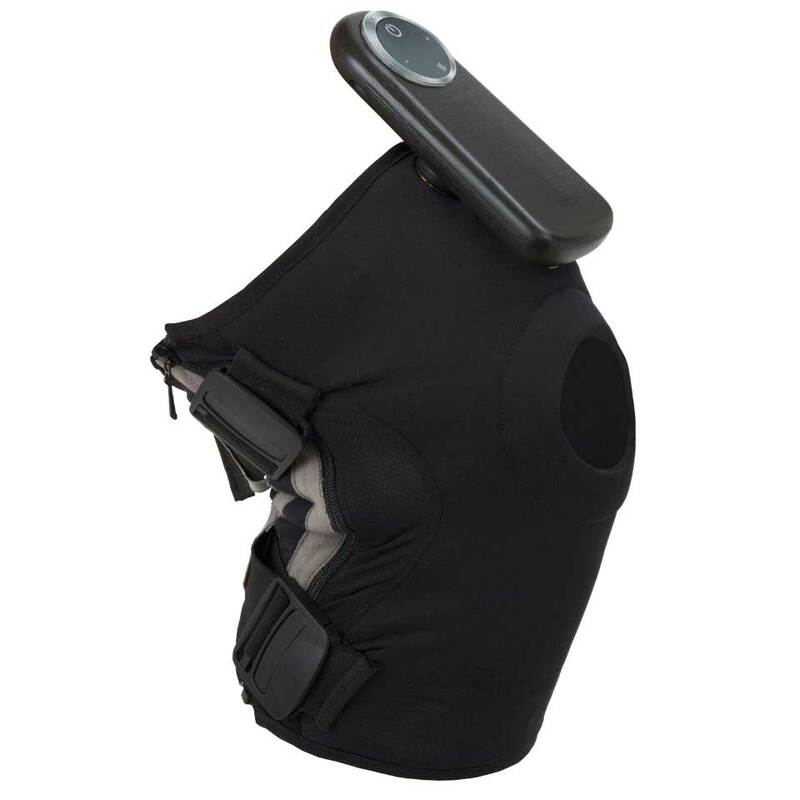 The 4 magnetic buttons attaching the TENS and control unit to the knee support also connects the electrical signals of the TENS and heat areas. 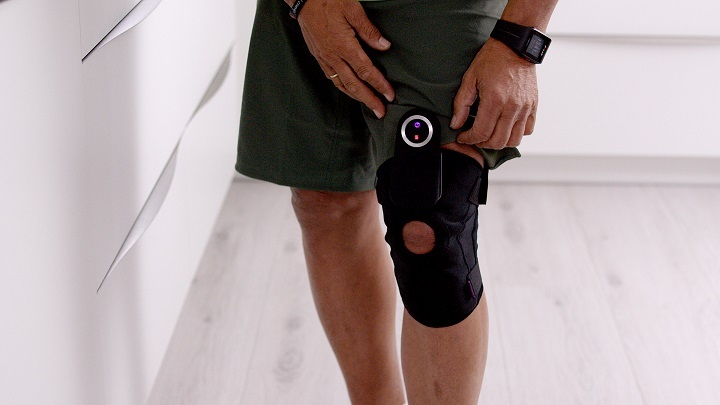 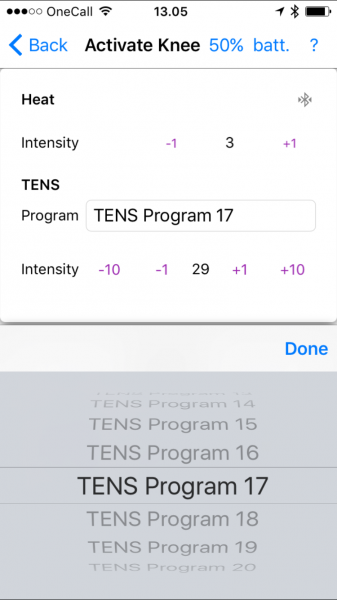 Controling the device with bluetooth enable you to see what settings you have, in the same interface as you can see how much you have used EXPAIN Activate Knee. 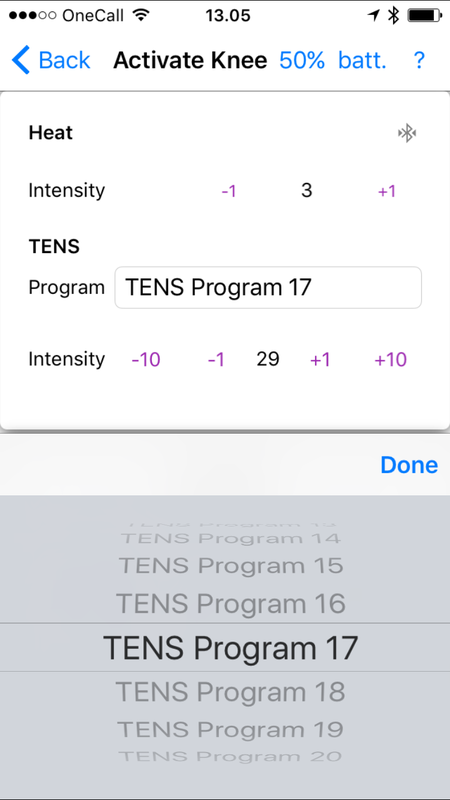 The usage history is useful when correlated with the pain diary in the Expain App, so that you can see the actual effect of the usage.